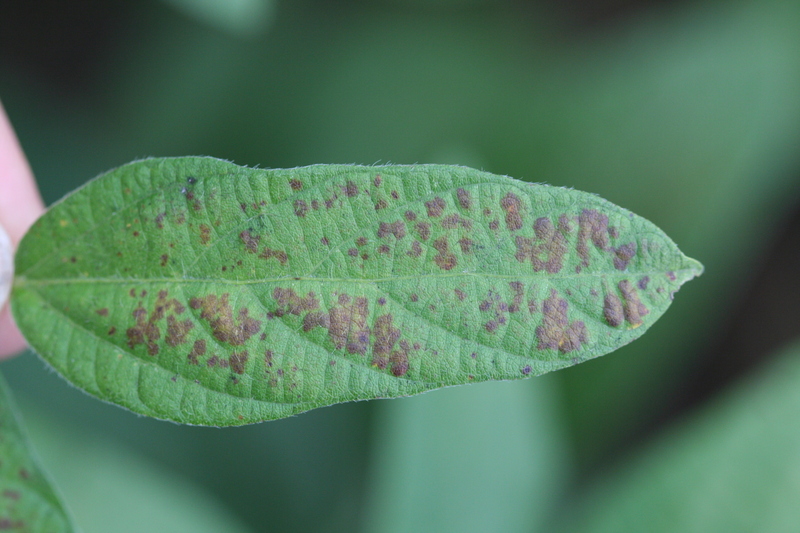 Cercospora leaf blight is caused by the fungus Cercospora kikuchii. This disease is frequently seen but rarely causes yield loss. Foliar symptoms usually are seen at the beginning of seed set and occur in the uppermost canopy on leaves exposed to the sun. 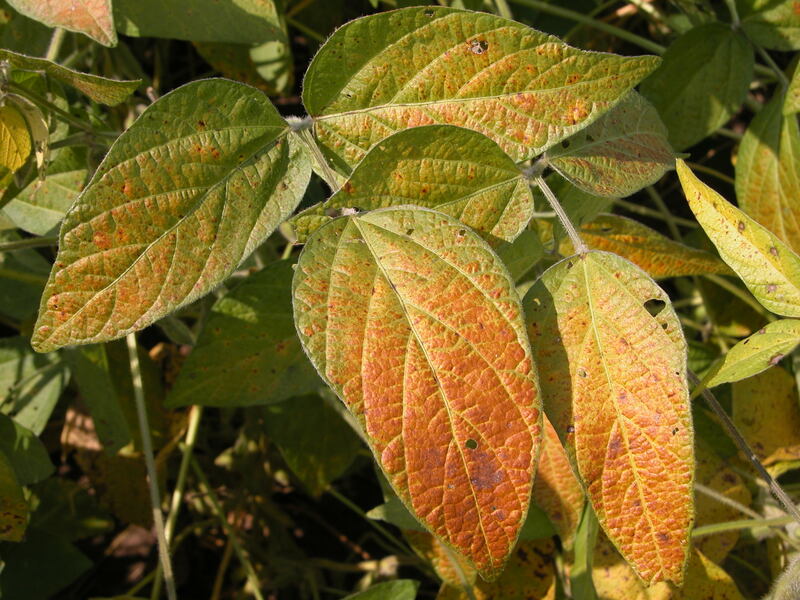 Leaves are typically only discolored on the upper surface with symptoms ranging from light purple, pinpoint spots to larger, irregularly shaped patches. 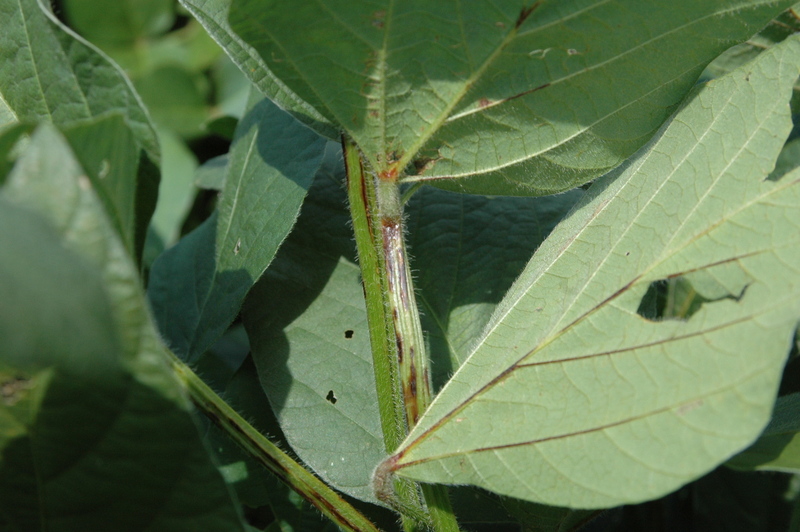 Affected leaves may become leathery and dark purple with bronze highlights. Symptoms may be confused with sunburn, which typically occurs on the leaf underside. Warm and wet weather favors infection and development of disease. 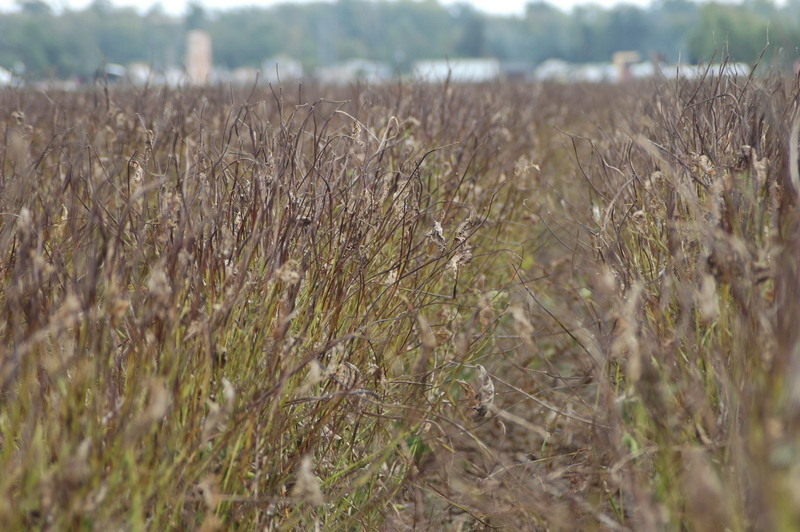 There are commercially available varieties resistant to Cercospora leaf blight. 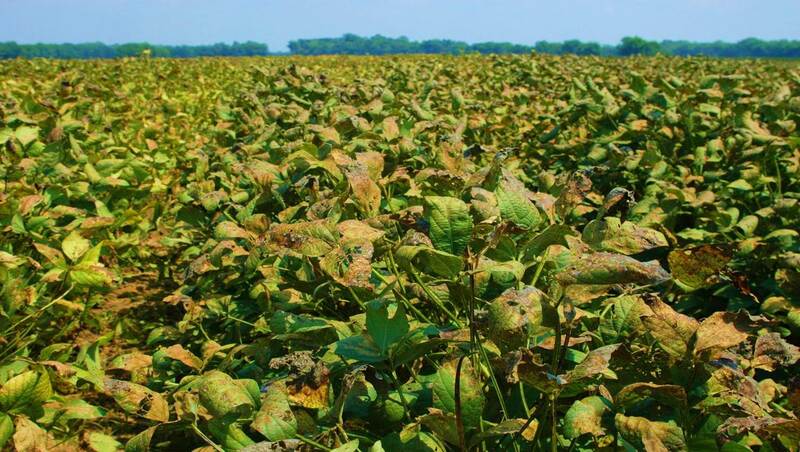 Foliar fungicides are registered for Cercospora leaf blight but are often not needed for this disease. 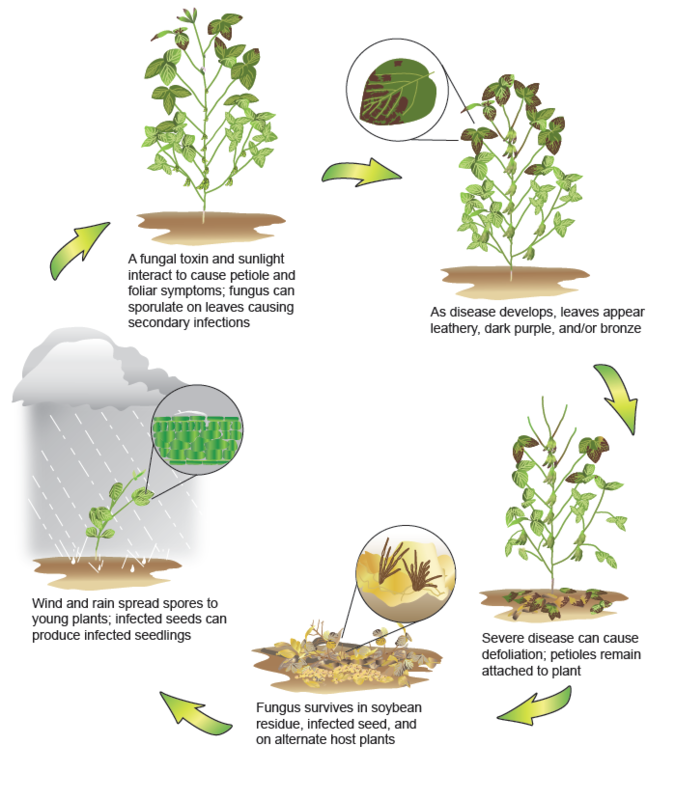 Cercospora leaf blight disease cycle. Petiole symptoms of Cercospora leaf blight. 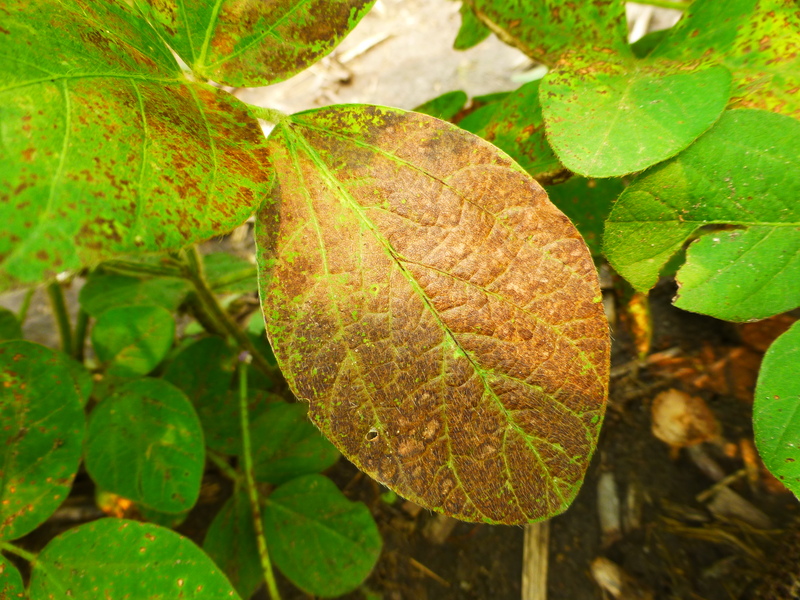 Soybean canopy showing bronzing characteristic of Cercospora leaf blight. 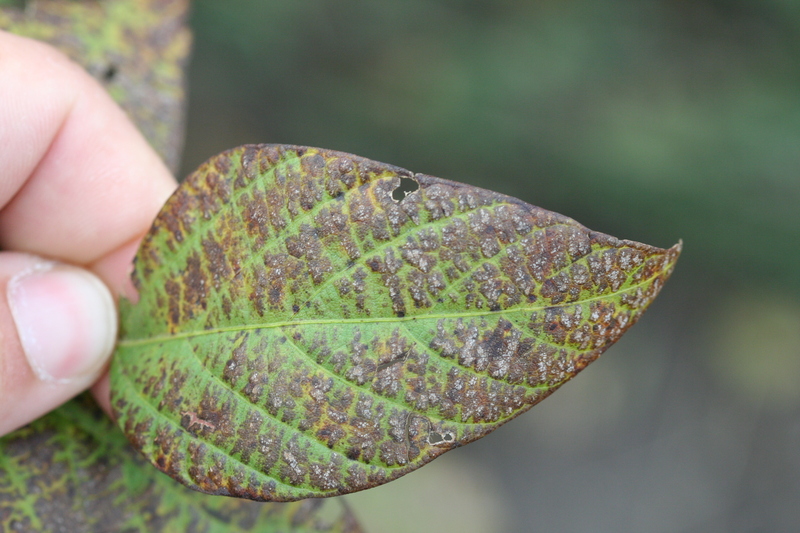 Leaf bronzing characteristic of Cercospora leaf blight. 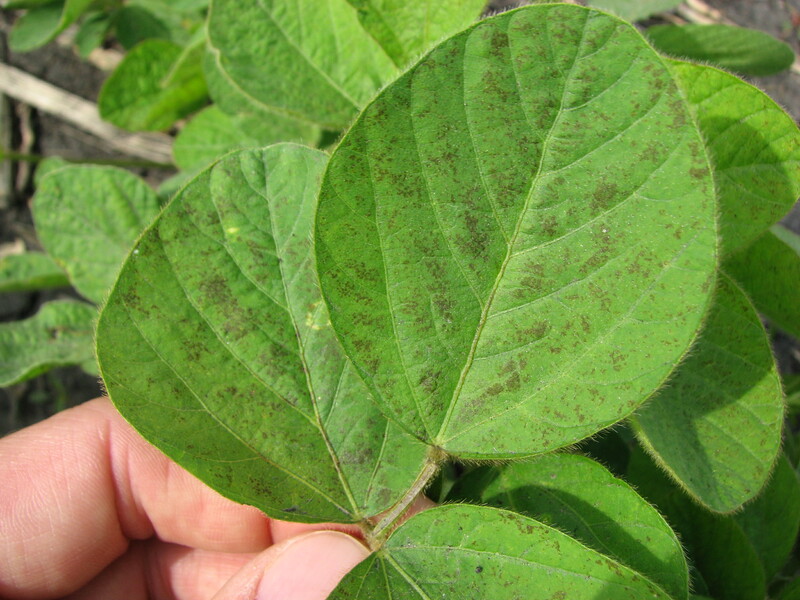 Severe Cercospora leaf blight in a soybean field. 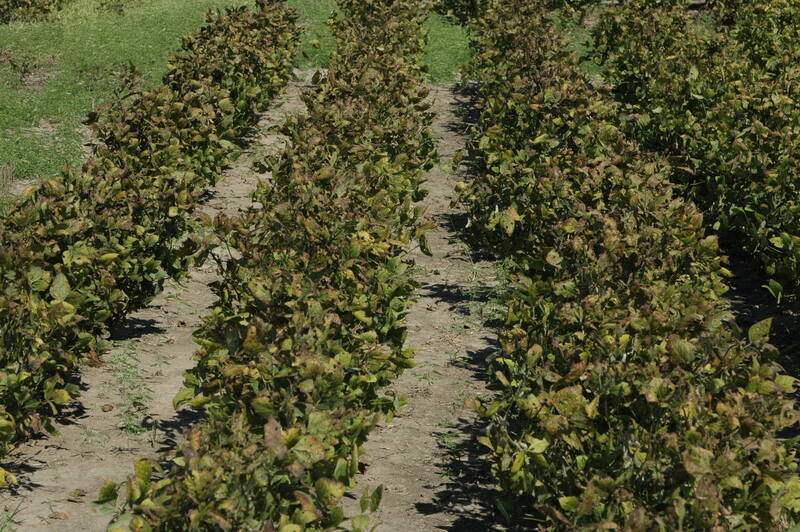 Petioles remain attached after leaves fall with severe Cercospora leaf blight. 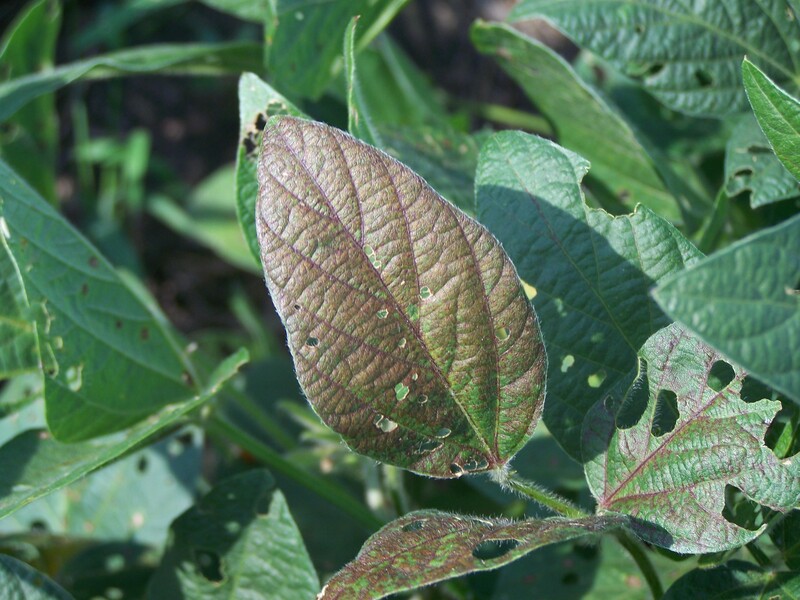 Early Cercospora leaf blight symptoms. Leaves are typically only discolored on the upper surface. Leaves may become leathery and dark purple with bronze highlights.